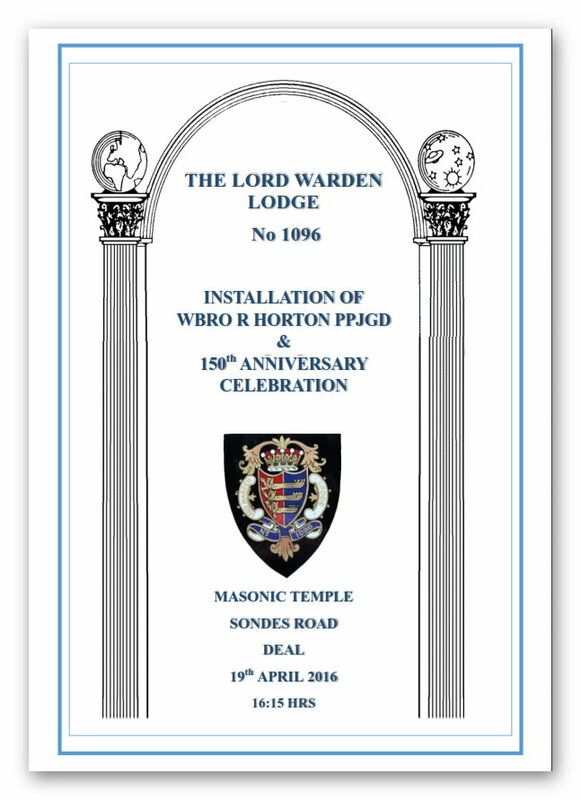 The Centenary of the Lord Warden Lodge No 1096 was celebrated on the 17th May 1966. The Meeting was held at St Georges Hall, High Street, Deal, Kent. You will remember that this was one of the meeting places the Lodge used in the past. 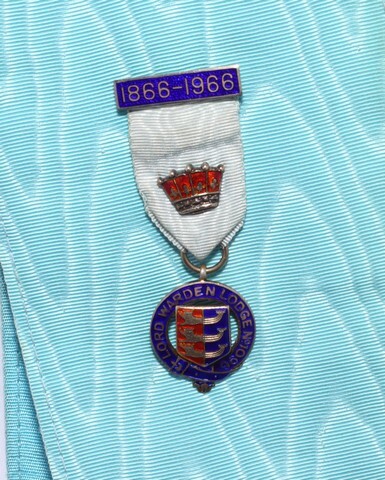 (see meeting places) To celebrate the meeting, a Centenary Jewel was struck, and is always worn by the current Worshipful Master during his term of Office in the Lodge. 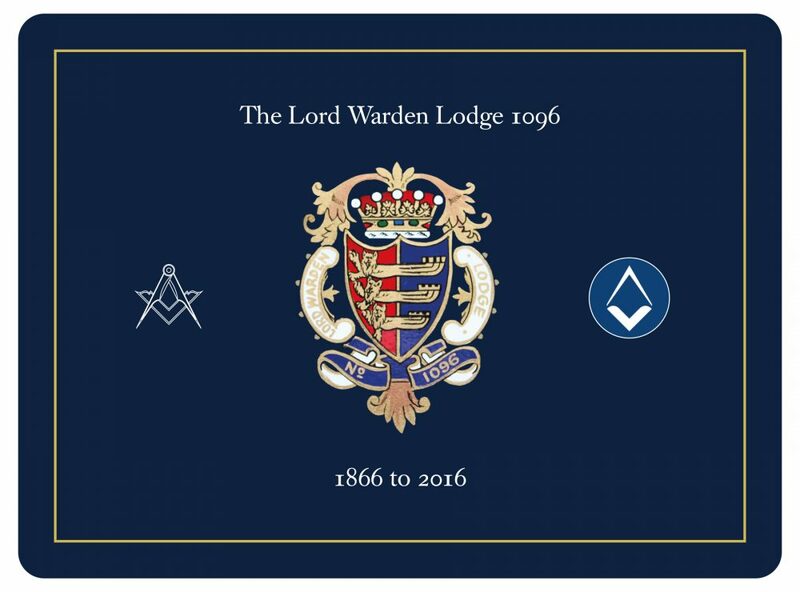 The 150th Anniversary Meeting was held in the Masonic Temple, Sondes Road, Deal, Kent. Our usual meting place. The meeting took place on the 19th April 2016. At that meeting we were honoured to have in attendance the Provincial Grand Master of East Kent, The Right Worshipful Geoffrey Gordon Dearing. The meeting was full to capacity and during the meeting, Worshipful Brother Ray Horton was installed as Worshipful Master by Worshipful Brother Paul Gear PM. 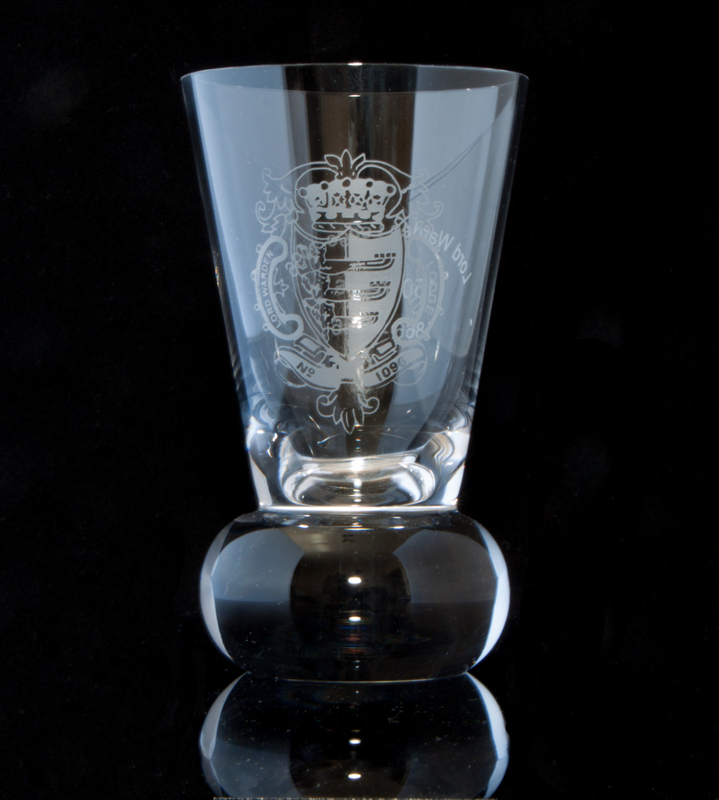 To celebrate the meeting, a firing glass was commissioned by the Lodge, and every member was presented a glass at the meeting. 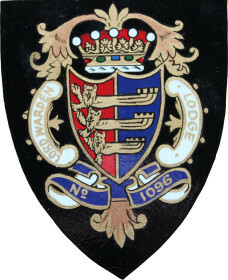 The Lodge also replaced its current dining mats, with new table mats, depicting the Lodge Crest, the “Old” Square and Compass” and the “New” Square and Compass. These mats were kindly donated by Worshipful Brother Harry Prescott PM. To view the 150th Anniversary Booklet, Click Here or the Image above.